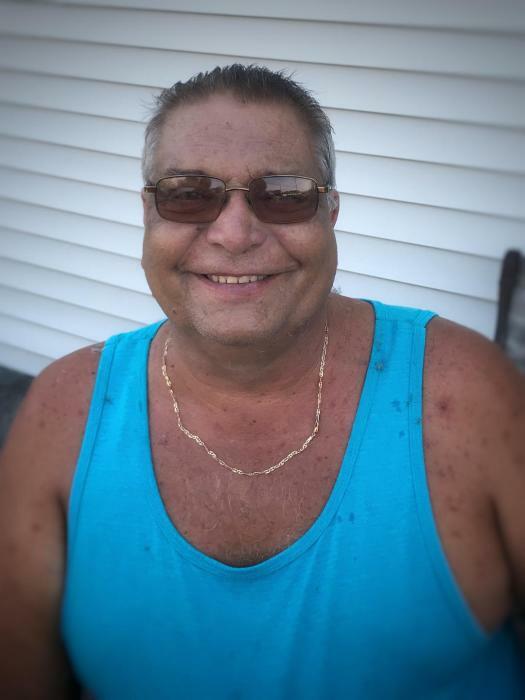 Obituary for Gerald S Delinko | Cramp-Hummel Funeral Home, Inc.
Gerald S. Delinko, 57 of Mohrsville, passed away peacefully in his sleep on Oct. 8th in his residence. Born in Reading, he was the son of Anna (Novack) Delinko of Reading, and the late Jerry A. Delinko. Gerald had worked for Dana Corp as a Welder then Assembler for over 17 years till its closing, and then for Wolfe Bleach and Dye Co for 10 years. He was pre-deceased by one brother, Jerry Delinko. Surviving is daughter, Kyron M. Delinko, Reading, PA; son, Jeremiah A. Delinko, Bernville, PA; three sisters, Anna Gonzalez, Maryann Cortez and Kathy Delinko all of Reading, PA; three brothers, Peter Delinko and Thomas Delinko, both of Reading, Ted Delinko, Muhlenberg Twp. ; 2 Grandchildren, Miah and Elijah Delinko. Memorial Services will be held on Saturday, November 3rd at 12:00 Noon in the Cramp Hummel Funeral Home, 934 Centre Ave., Reading. Relatives and friends will be received from 11:00 AM to Noon. Come as you are. Interment will be private. CRAMP-HUMMEL Funeral Home, Centre Park, Reading has charge of arrangements. In lieu of flowers donations can be made directly to the family.